LodgeCraft offers a wide variety of rustic furnishings to suit your rustic decorating needs. LodgeCraft has the knowledge and experience to help you furnish your home, lodge or resort. 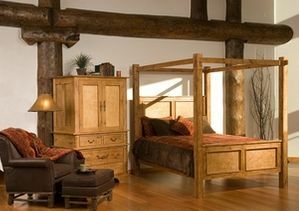 LodgeCraft offers furniture, some made in our two Montana manufacturing workshops, as well as a huge selection of rustic bedding and lighting to complete your decorating project. Give us an opportunity to work with you on your decorating project and see the difference LodgeCraft can make in helping you furnish your dream retreat.